The New St. Charles Preschool will become part of the Early Childhood Learning Center starting in September 2019. It will offer a preschool for children ages two and a half to three-years-old and a Prekindergarten program for older children. The ECLC at St. Charles will also offer before care and after care for all age groups. The curriculum is faith and investigative based with an emphasis on stem and readiness skills. A Spanish class is also part of the Prekindergarten program. If you have any questions, or to secure your place, contact the main ECLC office at 330-782-4060. Can't make it to all the 13 weeks of the novena? That's okay, you can now pray the St. Anthony of Padua Novena online. Click Here to download the written St. Anthony of Padua Novena prayers. 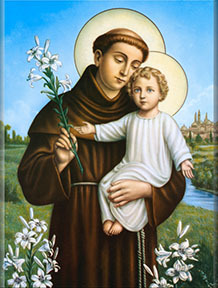 We celebrate the thirteen Tuesdays, a novena in honor of St. Anthony of Padua, the Miracle Worker. A novena is a specific time set aside on a regular basis to focus in prayer on specific intentions. Saint Anthony is our “partner” in prayer and a channel for God’s wonders to bring about change and healing. 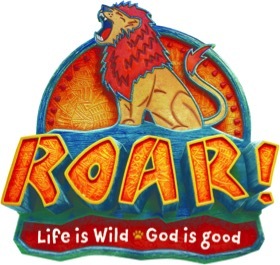 St. Charles Parish Religious Education Office is calling for volunteers to help with vacation bible school! Please call 330-758-8063 if interested to volunteer your time or if you have a donation. Donations need are based on 100 atendees. Donations needed include, money (used for food, supplies, activities), pizza, celery sticks, Ranch dressing/dip, cookies, ice cream cups, popsicles/push up’s, huggies/juice boxes, and bottled water. Please don’t forget to take one of our burgundy bags to help feed the needy in our community. This month’s wish list includes: pasta sauce, soup, cereal, peanut butter, pork n’ beans, and toilet paper products.